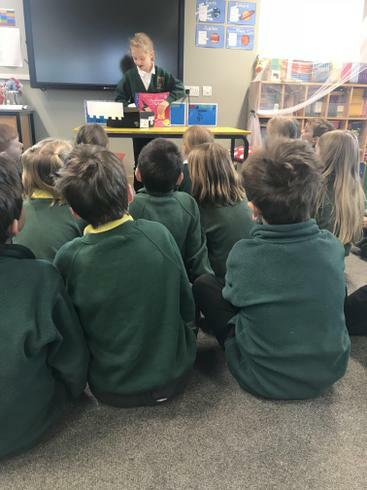 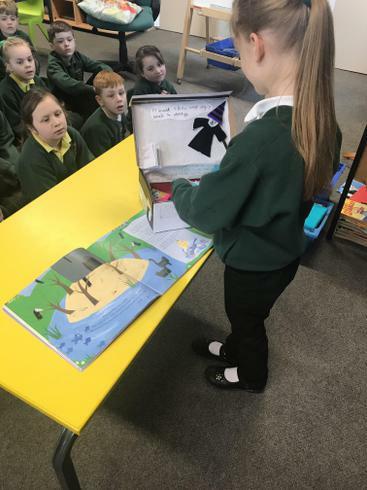 Class 2 were treated to Leyla's wonderful book in a box today. 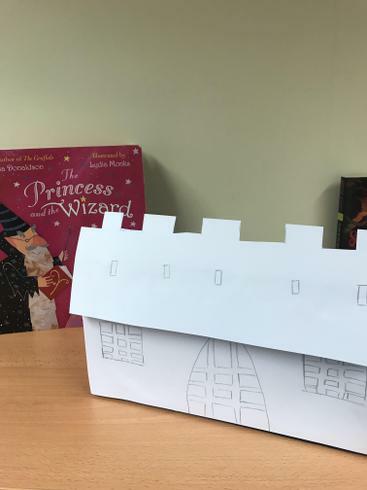 A story written by the popular author Julia Donaldson, 'The Princess and the Wizard' is one of Leyla's favourite books. 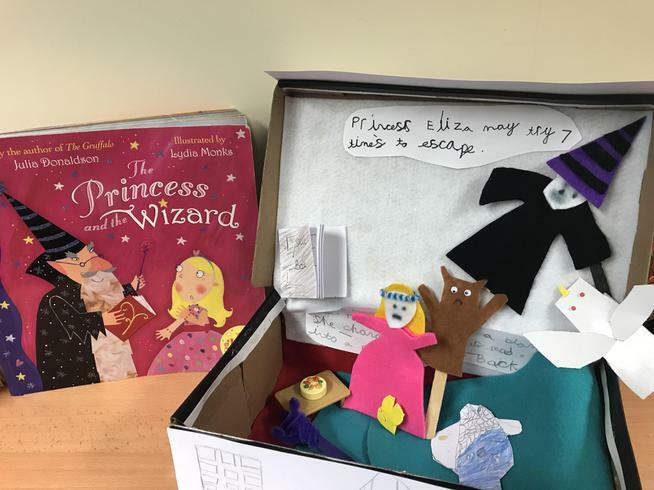 Leyla used craft materials to create characters and objects from the story; going through each of the princess' transformations using a different character to bring the story to life. 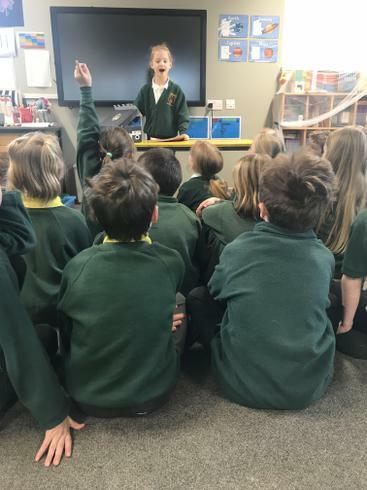 She retold the plot extremely well and answered questions clearly and with enthusiasm. 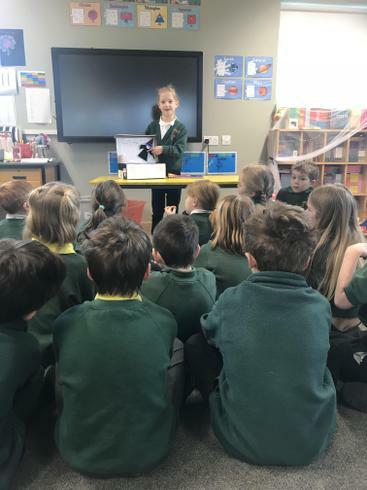 Great work Leyla!